In weapon updates, Lilina will be getting a Forblaze tome, while Fir and Karel will be able to use the Nameless Sword. 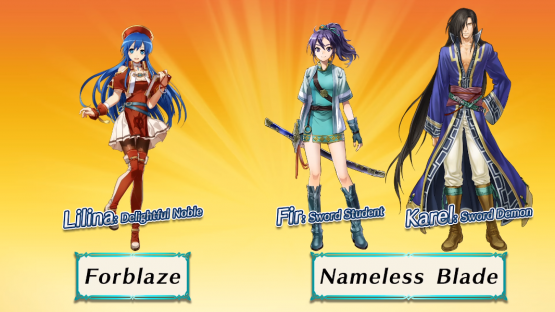 Both these new weapons will have options in the weapon refinery too, along with some others. 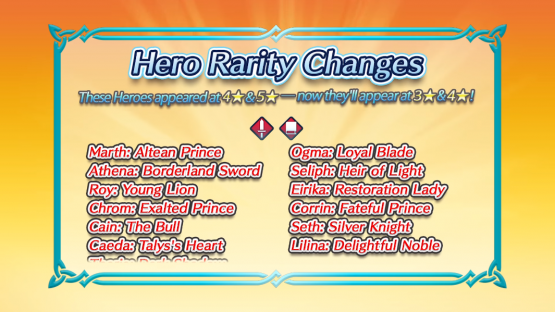 Roy’s Binding Blade and Lloyd’s Regal Blade will have new skills available, while Ephraim’s Siegmund can be upgraded to Flame Siegmund and Hector’s Armads to Berserk Armads. The duration of the Tempest Trials is going down from 14 days to 10, but the scores needed for rewards will be the same as they were in the Tempest Trials Mini events. 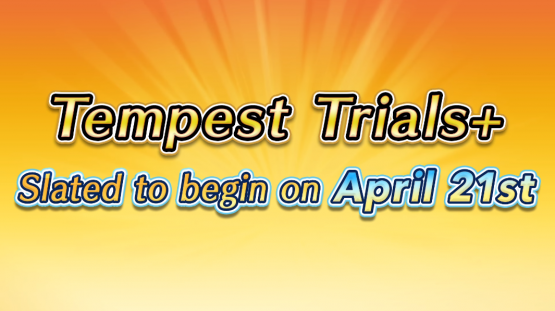 The first Tempest Trials+ even will begin on April 21st, with Finn: Lance of Legend available as a reward. 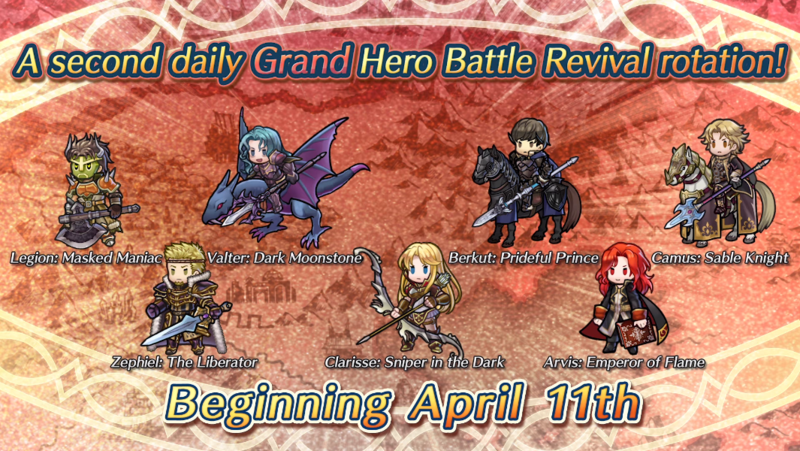 Starting from April 11th, 7 more Grand Hero Battles are being added to the daily rotation alongside the current ones, giving you more opportunities to recruit Legion, Zephiel, Valter, Clarisse, Berkut, Arvis, and Camus if you missed them before. A totally new Grand Hero Battle will also be available on April 17th, where you’ll be able to get Saias: Bishop of Flame from Thracia 776 too! 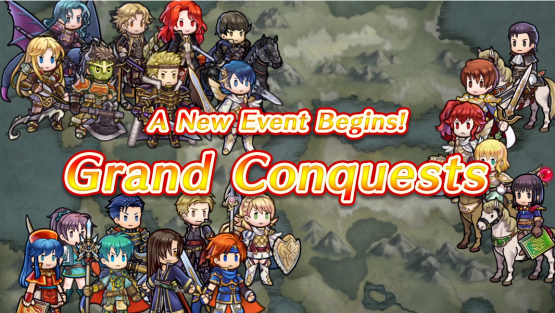 Similar to the Tempest Trials, all Grand Hero Battles and Legendary Hero Battles will be seeing a stamina cost reduction as well. The new stamina cost for these will be 0 though! This is bound to be really useful when it comes to working out ways to complete maps on Infernal difficulty! Now that there are so many more characters in Fire Emblem Heroes than there were when it started, adjustments are being made to the rarity of particular Heroes. In an update coming earlier than the others described in this instalment of Feh Channel, 46 Heroes are changing from 4* – 5* rarity to 3* – 4* rarity. Prepare yourself for the very long list of Heroes affected! Phew! It was about time some changes like this were made. Hopefully, this will make it easier to get any of these you’re still missing! 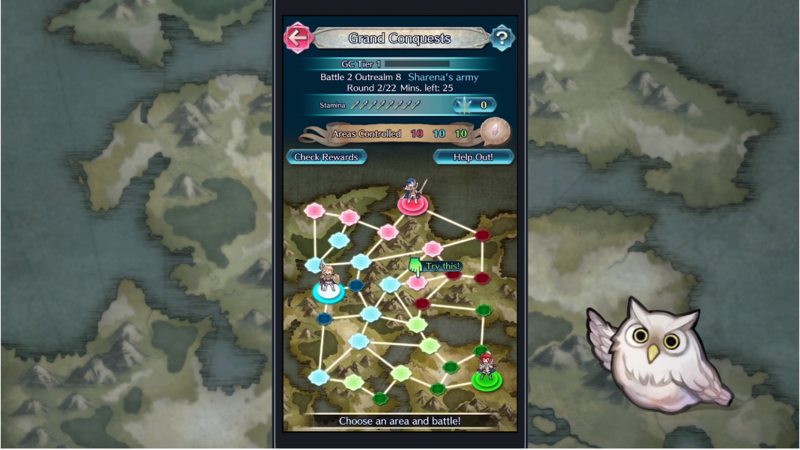 Finally, the new event mode, Grand Conquests! Based on the Rival Domains-style battles, this mode will see you using a larger team of Heroes to battle for the highest score you can get in 10 turns! 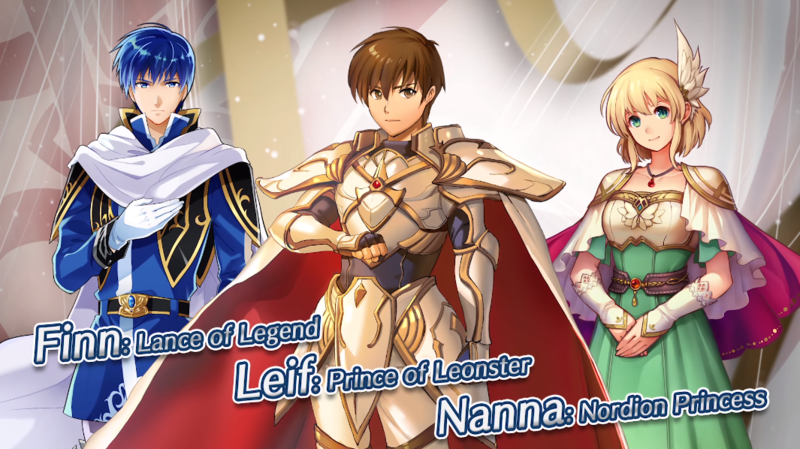 Each player will be automatically assigned to one of 3 armies – Alfonse’s, Sharena’s, or Anna’s – and will fight for dominance for their team across 30 areas! As well as defeating the opposing armies to try and conquer new areas, you’ll need to try and rack up as many points as you can to defend your army’s territories too! The Grand Conquests event will use its own Stamina bar, which refills at 1 per hour and can have up to 8 units, so you can participate in the event on top of the usual battles without it affecting your normal Stamina costs! The first Grand Conquests event will begin on April 13th, and will run until April 18th. 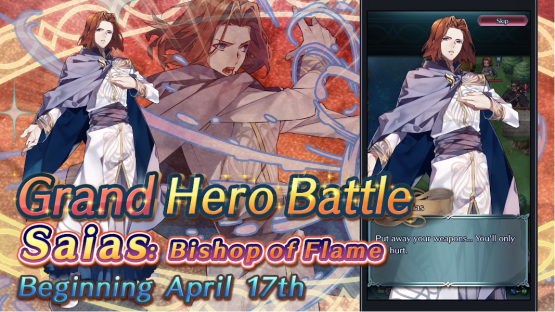 The new Fire Emblem Heroes update is live now, with events coming later this month. Fire Emblem Heroes is available on Android and iOS devices.